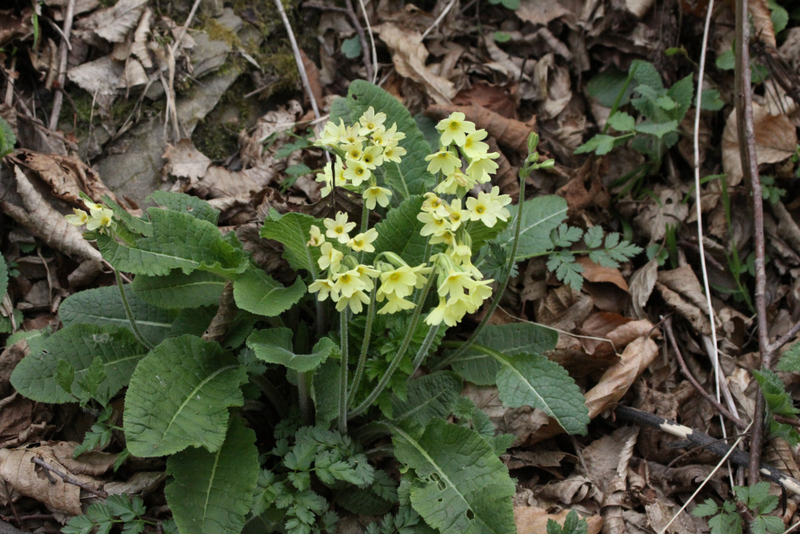 This is a hybrid between the Cowslip and the Primrose, it occurs quite naturally and produces a plant which looks like the very rare Oxlip. 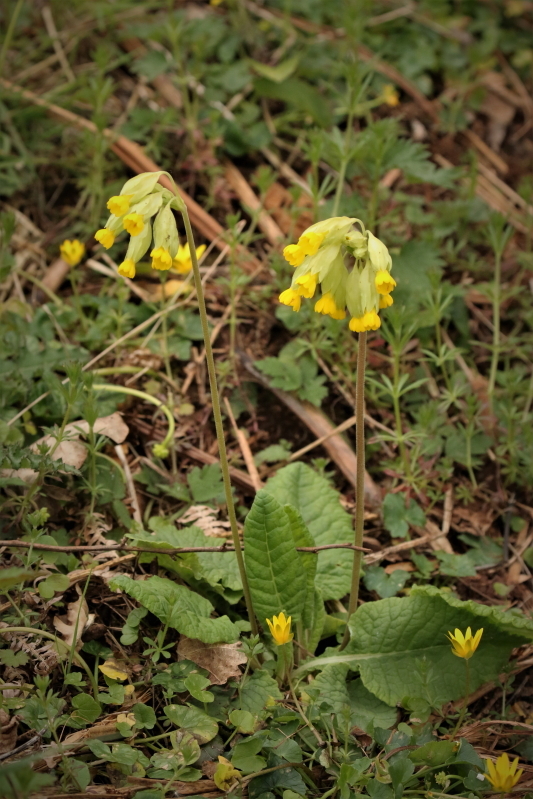 As you can see the flowers are borne several to a stalk like the cowslip but the individual flowers are much bigger than those of a cowslip and are almost the size of primrose flowers. However the flowers have a darker marking towards the centre which primroses do not have, and neither does the true oxlip. These plants were growing on Clearwell Meend, fairly close to Clearwell caves, there were only about 4 individuals and they were growing underneath some fairly spikey Blackthorn bushes making it difficult to get a good angle to photograph them. Another difference between the true Oxlip and the false Oxlip is that the individual flowers are all carried to one side of the main stem in the true oxlip, whereas in the false oxlip they form a random bunch pointing in all directions. 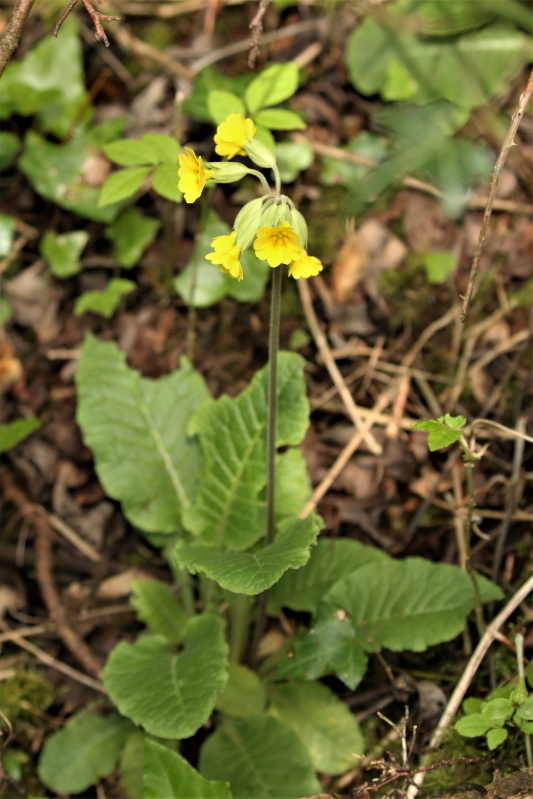 The true Oxlip is very rare and not found much outside of East Anglia and even there it is not something you are likely to see. The photo below is of an Oxlip; I took this photo in Poland. This last photo is of a Cowslip so you can see all the different types. Previous Golden leaved Saxifrage, Chrysosplenium oppositifolium and Alternate leaved Saxifrage,Chrysosplenium alternifolia.